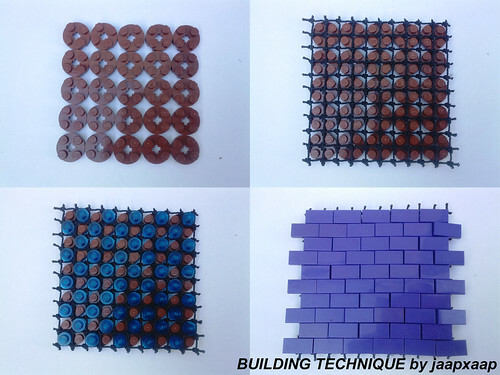 There’s one LEGO builder whose name has almost become synonymous with the color purple: Jaap Bijl, or Jaapxaap on Flickr. 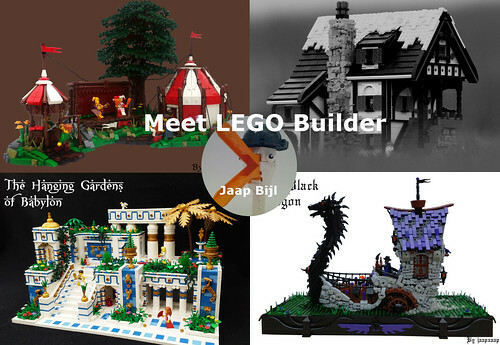 But of course Jaap builds so much more than just purple fantasy creations, and we were glad to get a chance to ask him a few questions about his take on the LEGO hobby. So without further ado, let’s delve in! When did you start building? What or who introduced you to LEGO bricks? And at what point did building become a serious hobby for you? As a toddler already, with LEGO Primo (for those who remember it...). As it started with LEGO primo, it must have been my parents who introduced me. I think around the age of 15 I discovered some LEGO creations by some AFOLs and I was like: “Wow, I wish I could do that!” And now, after a few years I think I can say I do. Why do you find building with LEGO enjoyable? I’m quite creative and I use LEGO as an output for that. That combined with the fact that while building I can think over almost anything in my life, it makes my hobby give me a lot of positive energy. A lot of your builds have a medieval fantasy theme, but you’ve delved into other areas too - what themes or styles are your favorites to build? The main goal for me when I want to build something is creating something new that never existed before. 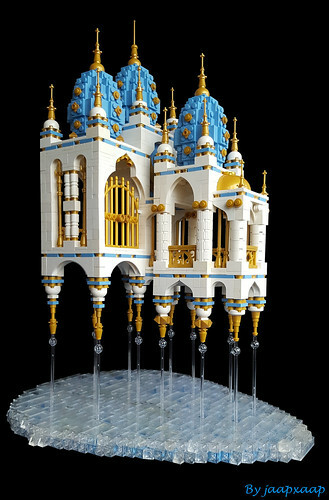 What makes the fantasy castle theme so perfect for that, is that you can make something crazy but still make it look like it could possibly have existed. Oh, and the medieval era really has my interest, so that helps a bit as well. As for the style, I always hear from others that I have my own style, so that’s the style I’m building in. But having my own style has never been my goal, I just do whatever I want, and do it my own way. That this has resulted in my own, recognizable style I see as a nice reward for being stubborn. There’s probably no need to ask this question - anyone who has followed your builds knows the answer! - but what is your favorite LEGO color? Some builders build quickly, some are more painstaking - what is your typical building speed? Depends on the day. Sometimes I can build a full day on a roof and destroy it next day because I’m not happy with it. But there are also these days where I create a full build in like 4 hours. But most times I spend a lot of time on the basic structure of a build. When I’m satisfied with that, I continue to build at a quite high speed in my opinion. How long do you generally spend on a normal sized build? I’ll answer this question in hours as I have sometimes taken 2 months for a build and then build one in the same size in 2 days after finishing the first one. I would guess around 15-20 hours on a normal size build, where I am fully happy with the result. Building brings its own challenges, and lots of them! 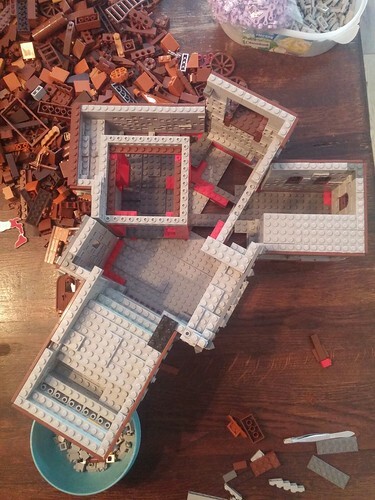 What is the most challenging part of a LEGO MOC for you? That’s an easy question. Finishing a half-finished build while you have ideas for a dozen of other builds you want to start on. I know that I have some behind-the-scenes techniques that I come back to over and over for builds, even for builds that are very different - can you share some of your favorite techniques with us? 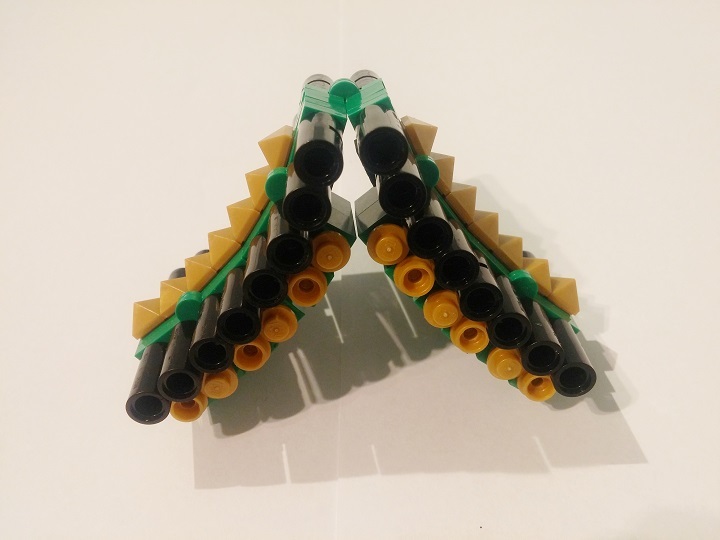 I’ve done a few tutorials already and I plan on doing at least two more this year on other roof techniques I use, but I can’t show them yet unfortunately as I need to make them first. Here are the two I’ve already done. What does the coming-to-life process of a Jaap MOC look like? Where do you generally start? With an idea of course. My favorite builds are buildings with a non-squarish floor-plan, and making them fit perfectly and visible from all sides. Therefore I never start with a baseplate, as these are way too limited already when you want to build with different angles. I normally start making the floor-plan of the building using 1x? Plates and hinge plates, where I search for angles and places to make this base sturdy. Up from this base I start building the walls and there I repeat the connection points with more hinged plates. I always finish the building before making the environment. The main reason for this is so that I can make it fit the building as well as possible, I can make the cleanest transitions and the environment becomes more dynamic because of the crazy angles in the building. What gives you your inspiration? A lot of different things. Most times I don’t even know what exactly inspired me. It doesn’t even have to be buildings. It happens that I get inspired by a sleeping cat or the shapes on a teaspoon. Yup, that’s me. Inspired by a sleeping cat?! Wow, now that is being able to see your surroundings in a unique way! Of all the builds you’ve done so far, which is your own favorite? That’s a hard one... I think my Braewood Castle, because it’s a build that I wanted to do for really long. I see myself as a castle builder, but never really built a castle before. I am really happy with the shapes and overall look, where I think it’s a really unique and fantasy build but still it looks like it possibly could’ve existed in real life. 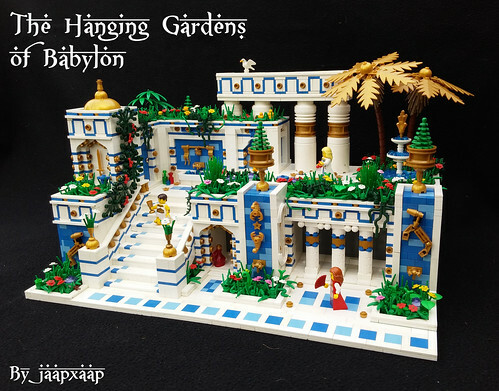 But my Hanging Gardens of Babylon and Fantasy Castle come really really close. At least I’m sure about this top-3. What was your motivation for Braewood Castle? Did you expect it to turn out so well? What makes it so special? I wanted to finally make a castle, and now I knew I had the pieces for it, so I could make a wish come true. That was already enough motivation for me. It always turns out better than I expect because during the building I always change and improve the design. At the start I mainly only think about the overall shape, so when I finish it with all the details it always exceeds my expectations. For this build I knew the design was going to be good, as it was actually my first build where I drew a few designs to be sure that it would look good from all sides, since this build was bigger and more complex than any build I did before. I don’t exactly know. I guess around 60 hours spread over a time period of 2,5 months. Although purple is actually my favorite color, oddly enough my own favorite of your builds doesn’t have purple! Shocking, I know! But I just loved the ingenious idea behind your Fantasy Castle. Where did you get the idea for that build? After the Legoworld event in the Netherlands I ended up with over 100 of these transclear bar pieces. Really sad, I know! So I knew that I wanted to do something with this piece, and after a bit of thinking I got the idea of a floating castle. And after a small tablescrap as test I knew it would look sweet and the bars would easily be strong enough to hold the weight. 1,5 day (I made 4 builds that week...) and around 12-15 hours I guess. I never count it. I just stop whenever I’m happy with the build. Sometimes a build is a huge hit and before you know it, you’ve racked up dozens of comments and hundreds of faves other times, you really enjoy a build, only to discover that apparently, you’re almost alone in that! At least, it’s happened to me! What’s a build that your proud of, but compared to your other creations posted around the same time, was relatively unpopular? 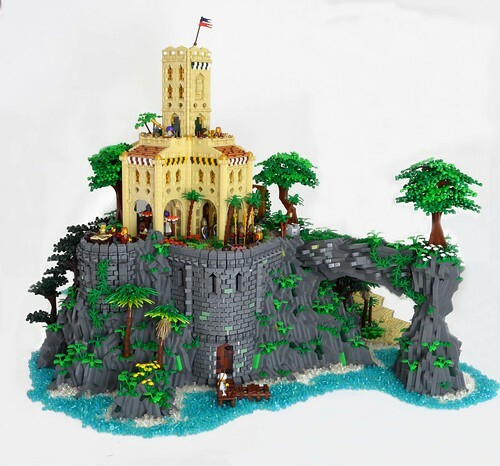 Hmm, always hard to value my own builds, but to answer this question, at first I think that my Braewood Castle should’ve been on The Brothers Brick, when looking to the other builds they blogged. But I think there’s really only one build that in my opinion should’ve deserved a bit more appreciation is Relaxing Time. I got some critiques that it was too chaotic, while I see that as a compliment when building a bazar. But in my opinion there is a nice balance between the chaotic bottom half and the more symmetric top half. But hey, you can’t have everything, and I just can’t complain with all the faves and comments I get. There are hundreds - thousands - of amazing builds out there by so many different talented builders - what is one of your favorites? Why do you like it so much? It’s hard to choose, but one I really like is Al Amarj Island by Patrick Massey, and to be more specific: The back side. The atmosphere is great. The colours used work perfect. The wall in the rocks is just perfect. And what is so impressive is that the building is pretty big, but it is not at the expense of the details. I feel that a lot of big builds make you wow for the build’s size, but not really draw in for the details. This build is definitely one of my all-time favourites. Seems like every time you turn around, there’s a new contest going on! I’ve seen lots of entries from you into many different contests. Do you find contests a good source of inspiration? What I really like about contest is the fact that you get “limited” to a theme, but then find a creative approach to create something unique. One of the best parts of a contest to see builds that others make for the same categories, I really really enjoy that. Do they help challenge you to try new things? For build subjects, yes. There are things I would never have built if the contest wasn’t there. Do you enjoy the competitive atmosphere? Yes, I really like to compete, although it feels more like working on a bigger project together than really competing. Bringing beautiful builds together is more important and enjoyable for me that going for the win (although winning is addictive and satisfying as well...). What about collaborating with other builders? How many collaborations have you been able to participate in? I did a few on different sizes. I think I did about 6 or so, where most were for conventions. What do you enjoy about collaborative building? Working together to create something beautiful. It’s a really nice experience to share WIPs and work together and build on a goal. 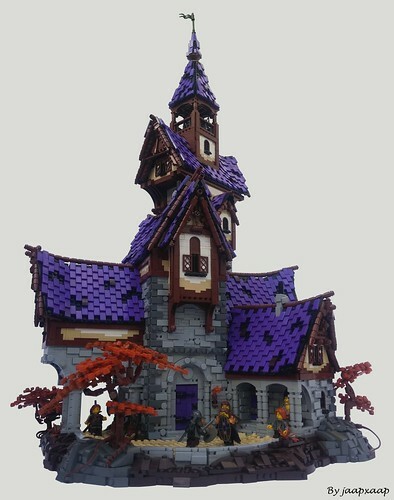 It is especially satisfying when it is finished and the result is the best of both builders combined in something really unique and different because of the mix in styles. Are you able to meet with other LEGO fans in real life, or just online? Both. Both on forums as at conventions I have met a lot of different LEGO fans. Has your LEGO hobby given you the opportunity to develop some new friendships? It has not only given the opportunity, it has also given me new friends. Some of them I met first in real life, others I have never seen in real life yet, unfortunately (I hope that that will change at some point soon). 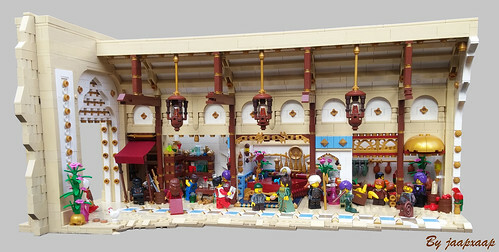 Have you been able to attend any LEGO conventions? Yes, I have been to Legoworld Utrecht 3 times, as well as to Brickmania Antwerp once. These were so awesome that I wish I could attend more conventions, but I haven’t really had the opportunity yet. What did you enjoy about them? Meeting other people, seeing builds in real life that you only saw on photos yet (They always look waaaay better in real life! ), and getting a lot of appreciation for your hobby. Oh, and of course all the fun you make with other crazy Lego addicts. Besides LEGO building, do you have any other hobbies you’d like to tell us about? Lately I am not always close to my bricks, so I started some other creative things. I try to teach myself to draw and I like to write about a lot of different subjects. Are you ever able to tie your other hobbies into your LEGO hobby? Well, I use my creativity in both. I haven’t combined different hobbies that much yet, but using LEGO in some more forms of art is something I hope to do at some point. What field are you studying in? At this moment I am studying a year of Bibleschool. After the summer break I want to start a new study, but I don’t know what yet... There are just too many things I like. Do you think you will be able to turn your love for LEGO to good use in your career? There will be some moments I can use LEGO in a job, but I don’t want a job focused around Lego as for me it’s perfect as it is now, as a creative output and hobby. I’m afraid that I lose interest when I am forced to build/ am limited by commercial limitations. And the big question: what do your family and friends think about your LEGO hobby? Have they accepted the fact that you’re not growing out of it? Or have they always thought it was a cool thing? They are happy I’m not playing video games all the time, haha. But seriously, they are always really supportive of my hobby, and enjoy the things I create. There are moments where I get my whole family to building... Even my mum has a LEGO set of her own! Thanks for taking the time for this Jaap, and keep bricking! Note: Minor grammatical and syntactic errors have been corrected.